On a recent visit to Wave Hill, a public garden in the Bronx, I was amazed by how confiding the resident Northern Mockingbirds were. In addition to watching them forage and sing I also chanced upon a rather violent encounter between two mockingbirds. One came out the fight clearly victorious as the other turned tail and flew off, and the bird that held the field made his dominance clear with what I would call a victory dance. It was a simple thing, as it flew to an obvious perch and raised its wings and held them for a second or two, turned and did it again and turned and did it again before flying to another post and repeating this behavior. I assume that the intended audience for his little dance was other mockingbirds, perhaps a watching female or other potential contenders for his territory? Whatever the goal or intent of his dance it was fun to watch and I was glad to get a few shots of him with wings raised high. 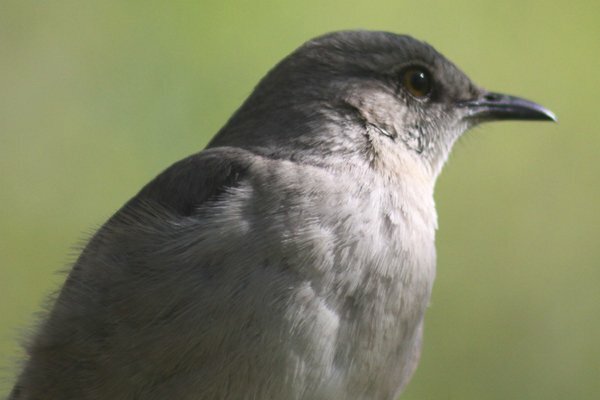 Want to learn more about mockingbirds? Check out our awesome post that should tell you everything you want to know! Nice shots and all, but Corey, tell me: how on earth did you get a visa for the Bronx?!? Fascinating! Nice shots, too! 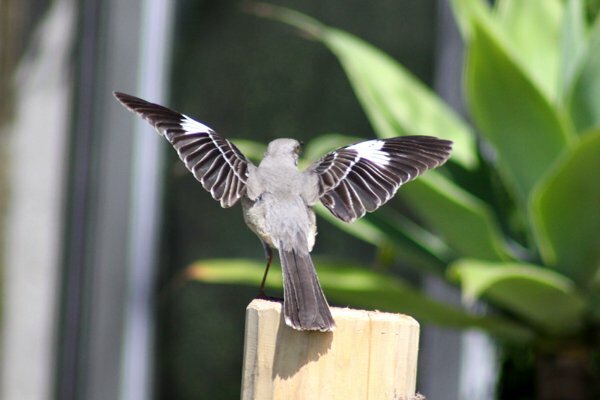 We have a mockingbird that sits on a nearby tree, repeatedly launching itself into the air, then landing in the same location. It has done this on more than one occasion. Any thoughts? I put three photos of it in this gallery. I have recently become introduced to this amazing bird!.. I’m guessing a lonely male has taken up home in a pine tree next to my bedroom window and sings his little heart out all night long!..One fascinating sound after another!..At first I wanted him to find another home!..For the lack of sleep on my part..But now I feel lucky to have had the chance to hear its songs. They really are simply beautiful and unique. Nice pictures of my favorite bird. I lived on this beautiful hill in PA many years ago. I met my fisrt Mockingbird there. After 22 years away, I moved back and guess what? After missing the enjoyment everyday of this crazy bird, there he was–waiting on the top of the telephone pole–just where I left him! Of course this off-spring of the original, most likely, was still singing the songs of every bird on the hill, along with crickets and kadydids. His name is Bert and he visits every morning when I am having my coffee on the porch. It’s wonderful to know that somethings never change! It’s been about two years (time flies!) but my mockingbird drama involved a male who parked himself on top of a very large tree-top, and for several days jumped up at least four to six feet, over and over again, to attract a mate, it seems. I work at home and would watch him from my east facing balcony. He would sing as he jumped, and could he jump! He must have done a good job with his acrobatics, as a couple of monthis later he disappeared to tend to his new family, I’m sure. I think of him often…he was glorious.